Practicing yoga, teaching yoga and training other teachers has changed my life over the past 16 years. I have been able to let go of what holds me back and embrace the fullness of who I am through this transformative pathway. My peace and joy expands every day and it is my great honor to guide others toward finding their wholeness as well. I have advanced training in a number of areas that inform how I teach. My style is warm,gentle and compassionate whether the class is physically challenging or deeply restorative. I am an ordained Interfaith Minister, a Spiritual Director & Reiki practitioner. Come, I will embrace you just as you are and offer you my best. A devoted teacher and student of yoga, I instruct and practice from the heart with compassion, joy and safety at the forefront. A strong believer that yoga is for everyone, I provide fun and challenging classes for students of many abilities, ages, shapes and sizes. My goal is to take you on the yoga journey of self discovery. Through observation and inquiry of body and mind you will learn how and when to apply breathing, meditation, movement and modifications to fit your personal needs. For my classes I call upon a variety of teaching styles that I have experienced over the years. In addition to certifications in both hatha and restorative yoga, I have studied with yoga and meditation masters Judith Lasater, Sarah Powers, Rod Stryker, Doug Keller, Seane Corn, Todd Norian, David Kiel, Julie Gudmestad, Peggy Cappy, Terry Schaff, Sharon Salzberg and John Kabat-Zinn. I am also a Reiki Master Practitioner and offer Reiki in many classes. Jenny discovered yoga when her daughters were toddlers—yoga was the calm to the busyness of motherhood. 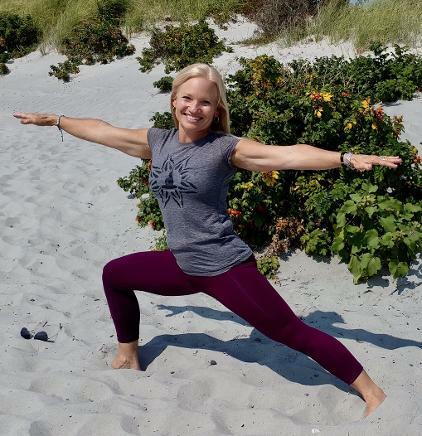 Through a dedicated yoga practice, Jenny discovered her love for teaching and completed the Radiant Child Yoga Program® Teacher Training, ChildLight Yoga™ Teacher Training and Yoga 4 Classrooms™teacher training. 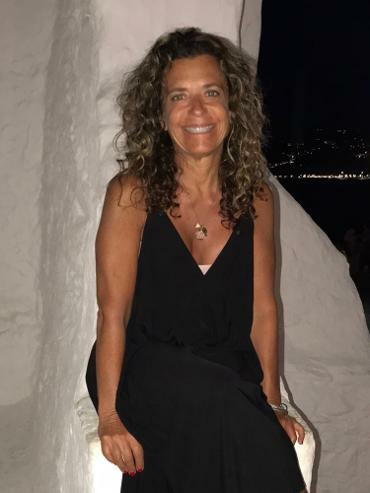 In 2013, Jenny completed the Spirit Tree 200-hour Yoga Teacher Training with Cathy Cesario--a challenging and rewarding experience that changed her life. Sharing yoga with people of all ages has helped her grow her own practice and deepened her love of yoga and meditation in ways she could never have imagined. 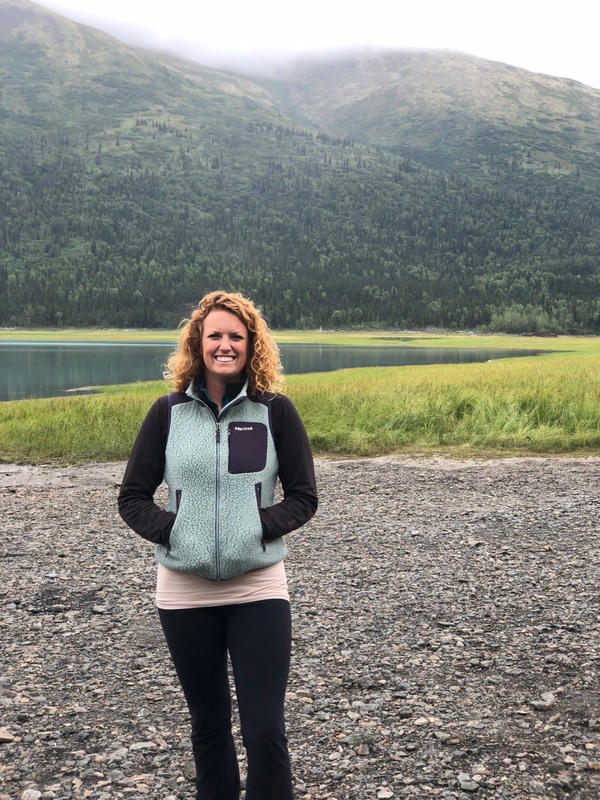 Jenny now teaches Pre-Kindergarten at the Pennfield School where she shares yoga and mindfulness every day in her classroom and also teaches a weekly yoga class to Preschool, Pre-Kindergarten, and Kindergarteners. Chrissy, RYT-200, completed her yoga teacher training at Innerlight Center for Yoga and Meditation in Middletown, RI in 2011. She teaches the creative and heart-opening practice of yoga with a focus on precise alignment, breath and yogic philosophy. Chrissy offers this artful movement for students of all levels. Continuously inspired by the beauty and synchronicity of nature, she infuses her teaching with imagery of the natural world. Her aim is to widen her students’ non-judgmental awareness through playful self-inquiry, good humor, and fun. She seeks to promote their health, happiness, beauty and grace by offering her students the transformational power of yoga—on and off the mat. My deepest aspiration in teaching is to inspire yogic inquiry for our own personal and collective evolution. Acknowledging there is no “one way in” for yoga, I draw from different asana styles for my offerings. My classes cross pollinate the stillness of Yin, skillful sequencing, dynamics of flow, functional anatomy, alignment of Hatha, subtle softness of somatics, spiritual teachings, chanting, and meditation. My yoga practice began in 2005 with a love of hot, strong Vinyasa. In 2011, I received my first teaching credentials. In 2016, I completed Tias Little’s Prajna training through senior Prajna teacher Theresa Murphy. This 300 level certification drew me deeper into the wisdom teachings and yoga asana lens of slow, strong, steady with consistent yoga asana through self-inquiry. Raghunath Cappo is one of the senior Teachers I hold in great esteem and practice with. With admiration and inspiration for the Iyengar lineage, I study and absorb the teaching’s of Patricia Walden and Carrie Owerko. Kathy was first introduced to mind-body practices while earning a graduate degree from Salve Regina University. Subsequent to earning her degree, she went on to become a certified Ananda Meditation Teacher through Ananda's Expanding Light Center and a Qigong Level I Teacher from the Institute of Integral Qigong and Tai Chi. 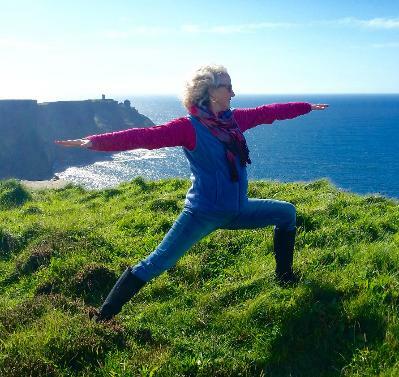 Kathy's hope is that she can motivate people to investigate and experience qigong and to bring this ancient practice of well-being into the mainstream. She appreciates that anyone can enjoy the art of qigong in assisting them to reach their goals of increased relaxation, inner peace, joy and wellness. During her free time Kathy enjoys taking yoga classes, kayaking and painting, but most of all, she loves spending time with her grandchildren. Alicia is a happy yoga mutt! From her first yoga class at the age of 47, she was hooked. Traveling all over the country to study with master teachers of different disciplines Alicia began a journey that would alter the trajectory of her life. In 2005 after being diagnosed with cancer for the second time, she knew that she was destined to share this life altering practice that not only physically supported her through treatment and recovery but, began to heal her life long emotional and psychic wounds. As a teacher, Alicia hopes that you will share this journey of self -discovery, self –love and self- compassion . She has had the privilege of studying both yoga and meditation with teachers such as Jack Kornfield , Tara Brach, Gary Kraftzow, Elena Brower , Desiree Rumbaugh , Tias Little and Cora Wen. It was her introduction to Yin Yoga and Buddhist meditation practices with Sarah Powers, however, that changed her perspective about teaching and practice . Sarahs’ teachings integrate compassionate inquiry through meditation , transpersonal psychology, modern Chinese medicine and asana. Alicia shares her other life with Peter, her hubby of 36 years, her two grown adored children Jordan and Lucas, one witty son-in-law Jon, one firecracker daughter-in-law Erika, one heaven sent angel 3 year old Grayson and three very furry , very entertaining human/doggies (they’re really human) Gracie, Sophie and Stella. An advocate of yoga and meditation as a healing modality, she offers her time freely to women with cancer as her gift and honor and never forgets how precious life really is. Lori creates unique and creative yoga classes based on a lifetime of training in classical ballet, gymnastics, swimming, and advanced water aerobics. She has been teaching some form of movement since 1980. Lori is a long time student of many of our fine local instructors. She experienced an accidental brain and back injury, which inspired her to pursue a certification in; Yoga of Energy Flow - 200 RYT. Her personal style of yoga is quieter, slower, and intuitive and it is her intention is to bring this grounding pace into the classes she teaches, in order to offset the demanding pace of modern living. 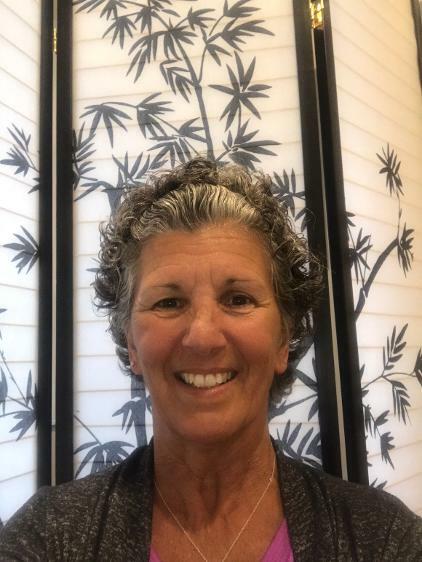 Lori is also a LoveYourBrain Yoga certified teacher, understanding needs of people with traumatic brain injuries, and yoga as a healing modality. Kimberly’s life and work have long centered around supporting and encouraging others. She is a foster/adoptive parent who has spent many years working in the fields of Education, and the Arts. Her style is warm welcoming and engaging. She places high value on creating an inclusive and empowering space for work and practice to unfold. In class, Kimberly encourages students to move deliberately, with integrity and stay engaged in the experience of the movement. Kimberly holds such gratitude for the teachers and life experiences that help her grow, heal, seek, listen, learn and love. She holds a RYT 200 certification. Yukari's journey of yoga started about 10 years ago. Since then everyday practice has guided her to be present, patient and flexible both physically and mentally. She completed her 200 hour Hatha yoga teacher training with her passionate teacher at Senaji Studio in Japan in 2013. She then trained in Core Strength Vinyasa flow and Yoga Shred. She brings a happy and healthy atmosphere as well as creative sequences to all classes she teaches. 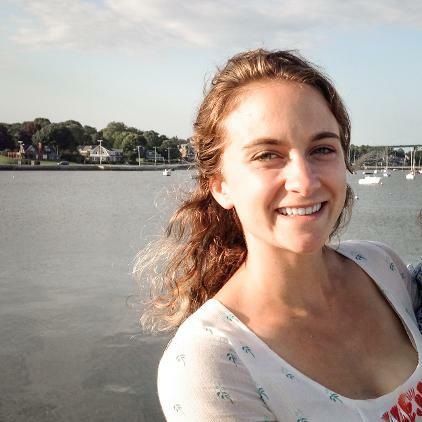 Having grown up in Southern Rhode Island, Elyse was raised with the outdoors being her playground, classroom, and place of peace and serenity. With discovering Ayurveda in 2010, she now takes her deep appreciation of Nature and applies the wisdom of Ayurveda to bring balance to her mind, body, and health. Elyse truly believes that 'It takes a village' to raise a family and it is her passion to fully support the family unit as a whole and as unique individuals. Her love of children and babies with her dharma to support and strengthen women is the creative force behind her doula and post-birth care. 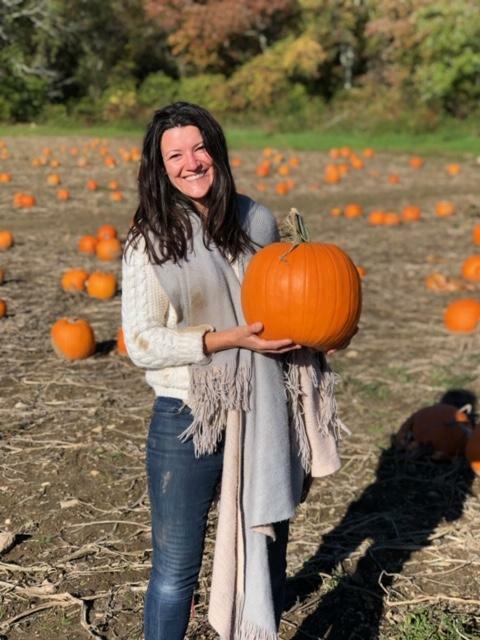 Elyse’s dream is to vitalize and illuminate the community by sharing her love of cooking local and seasonal foods, guided mediation, and yoga asana based on the students current needs. Her mission is to make yoga and true health accessible for all. 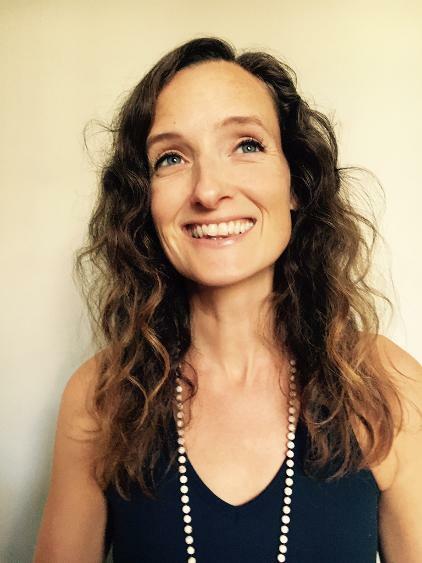 Elyse is certified as a 600 Hour Ayurvedic Health Counselor, 200hr RYT, Prenatal and Postnatal yoga, and is completing her training as an Ayurvedic Doula. I trained under Ty Romijn the art of Tai Chi and Chi Kung for 10 + years. The form that Ty taught was the 108 form by Master Dung. Ty moved to Colorado and at that time I took over some of his students. Since then I ventured out teaching private lesson and a 12 week training at Nanaquacket Yoga Studio in Tiverton RI last year. I have been trained and teaching this beautiful original Martial art for close to 20 years. On occasion I still have the opportunity to work with Ty as he frequents Newport since his relocation to Martha's vineyard. 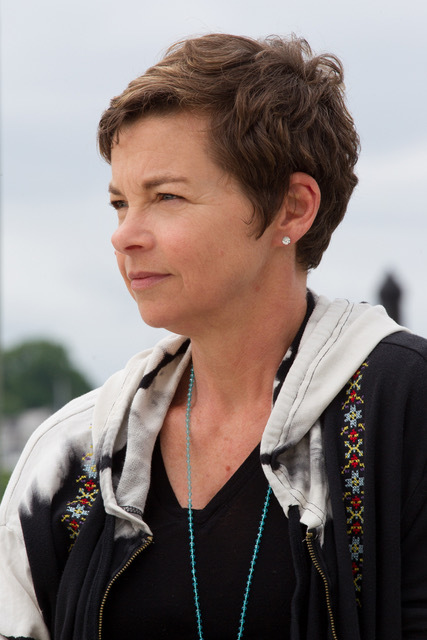 Kim Fuller is a photographer, author, Tedex speaker, workshop facilitator and mindfulness coach. She is the mother of two birth children and one adopted son who she writes about in her book “Finding, the story of a young boy who became his adoptive mother’s greatest spiritual teacher.” After meeting the Dalai Lama and starting her Buddhist and meditation practice fourteen years ago, she developed a mindfulness method called P.A.U.S.E. 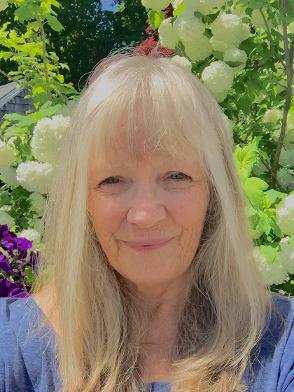 that she teaches in workshops, retreats and with private coaching clients, to show them how to create peace and possibility in relationship with self and others. She also takes her mindfulness skills into her photography sessions working with heart-centered entrepreneurs to help them authentically express themselves, attract their ideal clients and get photos that up-level their brand. Danielle has been practicing yoga since 2007 and received her certification with Patti Doyle in the Thames Street Yoga Vinyasa Teacher Training program in 2015. Inspired by yoga's healing and transformative nature, she aims to create a tranquil space for students to explore and experience the benefits of yoga in a very personal way. Her classes offer nurturing, creative sequencing with an emphasis on introspection, self-awareness, breath inspired movement and energetic expression. I fell in love with yoga in my first class 18 years ago. I didn't know how or why it worked, I just knew I felt better than when I walked in the studio. Since then, the process and practice of yoga has been a good friend to me through life's ups and downs, and as a teacher, my primary aim is to provide you with this same sense of growing wellness that you create for yourself. I am trained in Vinyasa and Restorative and avidly continue my studies of Yoga philosophy, Buddhism, mindfulness, Chinese medicine, and herbalism among others; these modalities find their way woven naturally into all of my classes. I have completed a one-year comprehensive training in the Hakomi method (a somatic psychotherapy) that has its roots in mindfulness, and this healing perspective is infused in my teaching approach. I am also a Reiki III (Usui Holy Fire) practitioner and this healing energy is also "in the atmosphere" in my classes, especially in Savasana. 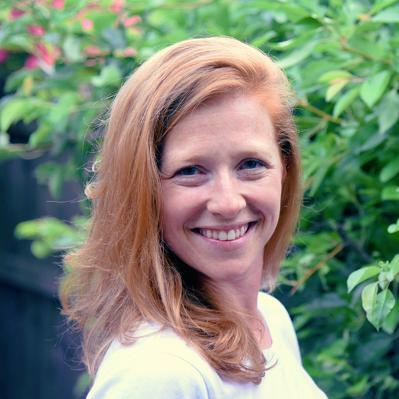 Rachael completed her Vinyasa teacher training at Thames Street Yoga, and brings with her a background in the study, practice, and research of meditation and Mindfulness Based Stress Reduction. She endeavors to meld breath, body, and mind on the mat, encouraging students to connect with this moment in time. Rachael’s practice is cultivated on the belief that the abilities we develop on our mat allow us to be more fully present and less reactive to all of our experiences in our daily lives. She hopes to bring curiosity, lightness, and a sense of playfulness to these deeply meditative and transformative practices. In addition to her Vinyasa training, she is also certified in Yin Yoga and meditation, and is a Level III Advanced Reiki Practitioner. Rachael has a Master’s degree in Humanistic and Transpersonal Psychology from the University of West Georgia, where she studied the interplay of psychology with Buddhism and Mindfulness in working toward self-transformation. Celia, RYT 200, received her teacher certification from Yoga Vida in New York, shortly before moving to Newport. She began her practice over 18 years ago after discovering yoga's reverence for the mind-body relationship. Staying true to her roots as a competitive figure skater, Celia emphasizes alignment and functional movement in her classes. 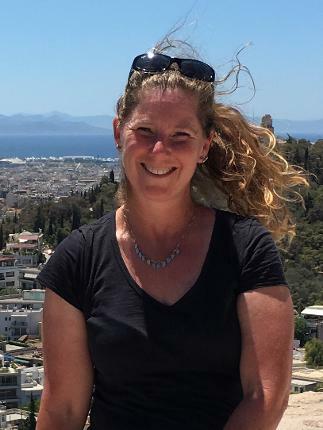 She integrates smart sequencing and yogic philosophy with humor and compassion to hold space for her students to explore, grow, and experience the interconnection with all of life. 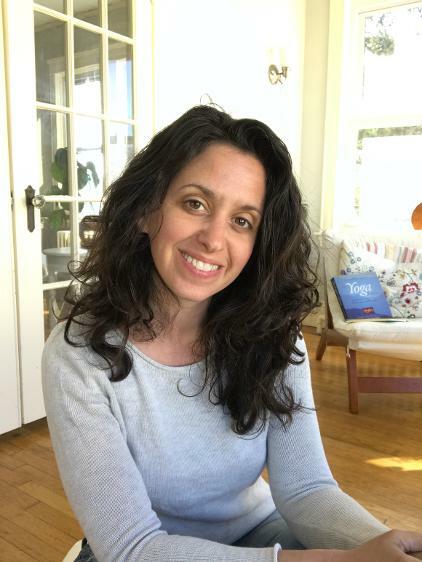 Celia has also completed teacher trainings in Yin and Meditation at All That Matters in Wakefield, RI and Prenatal + Postnatal Yoga at the Prenatal Yoga Center in New York City. I have been teaching for most of my adult life. From mathematics at the college level to leading high energy aerobics and spinning classes, I have dedicated over 20 year to the fitness and learning world. Coming to realize it was time to listen to the needs of my body, I tried my first yoga class. It didn’t take long for me to become passionate about my practice, subsequently earning my 200 hour Yoga Teacher Certification. My classes are carefully constructed to maximize calmness not only in the body but in the ever-chattering mind. Discover the joy and benefits of vinyasa flow with me and together we will grow both mentally and physically.